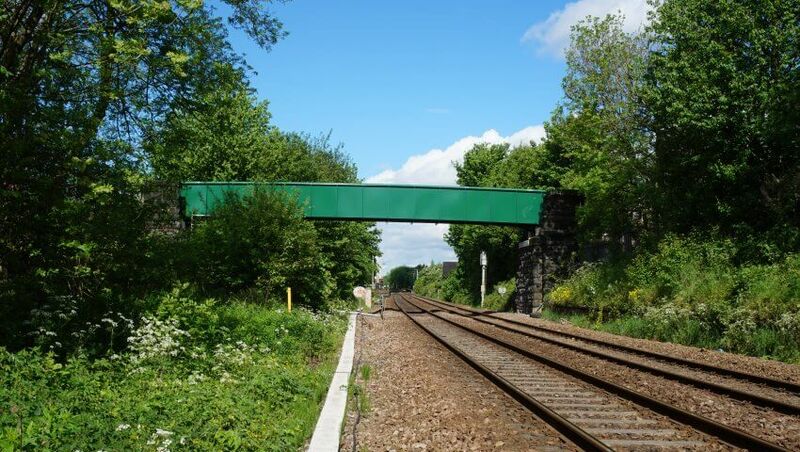 LBE1/19A is a single span simply supported footbridge carrying a footpath over the Up and Down Mains of the Leeds – Bradford Lines. 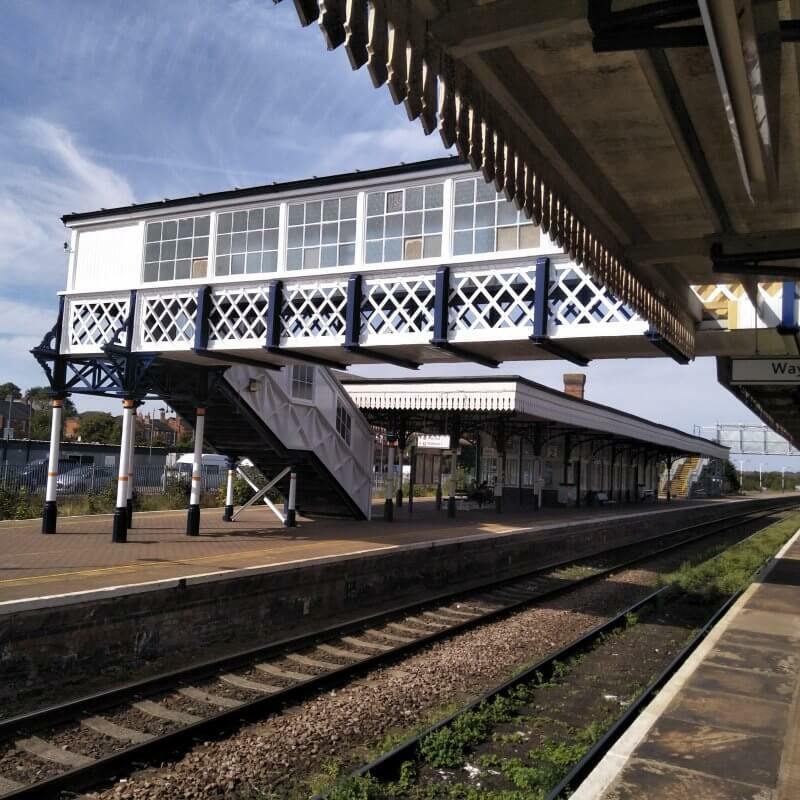 The bridge is located approximately 500 metres East of the Bramley station, accessed via 2 footpaths from the North and South. 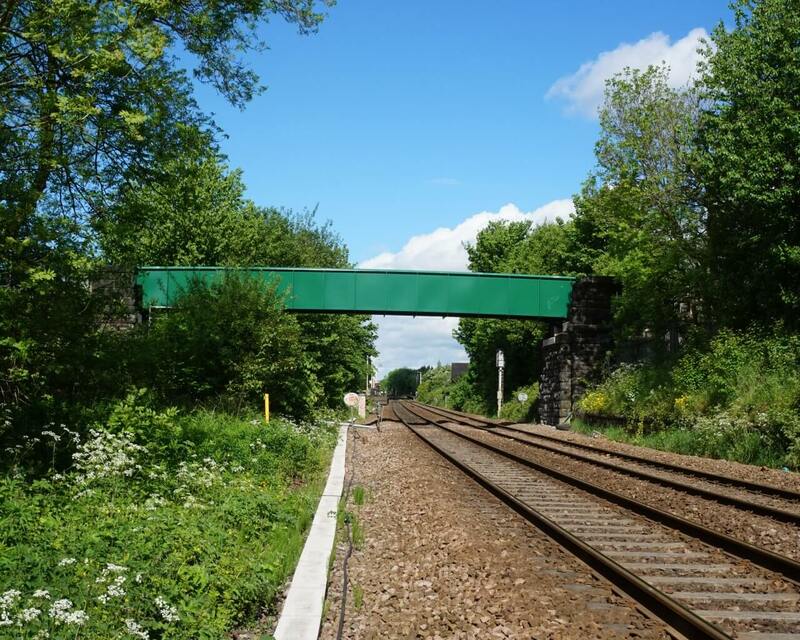 It provides important access to Bramley Station for local residents. 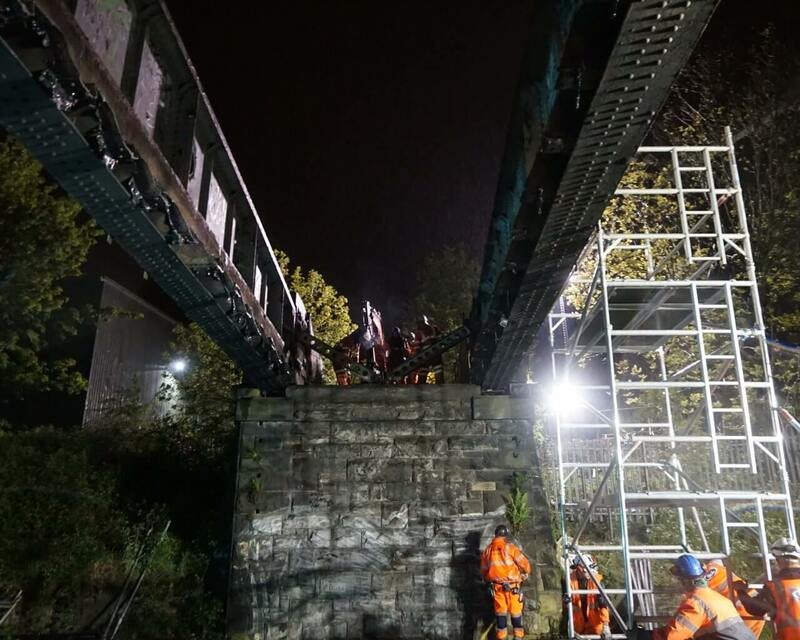 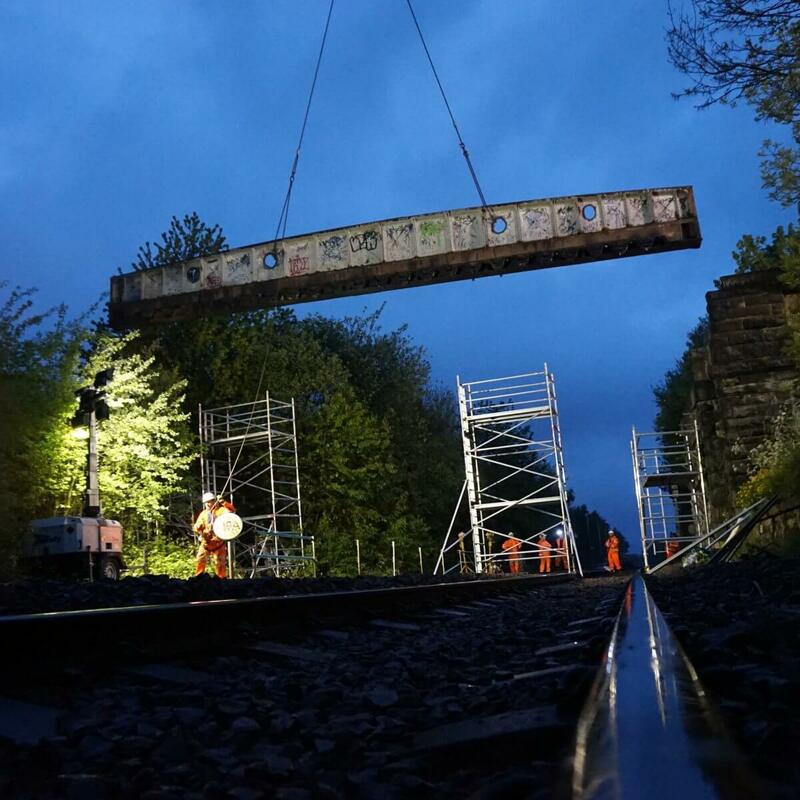 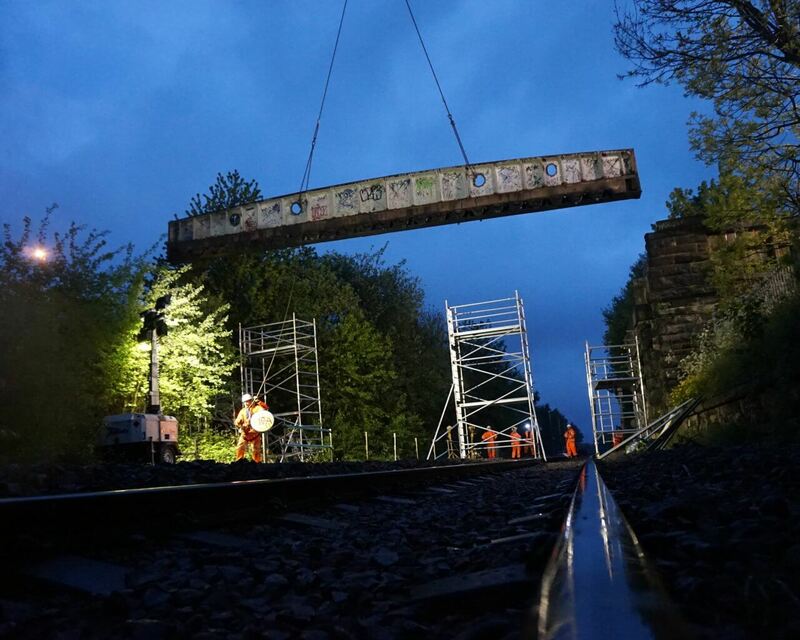 Once temporary diversions were in place, the in-house CML team took on the demolition work to remove the over-burden from the structure, and prepare the deck ready to be cut and removed during night time possession works. 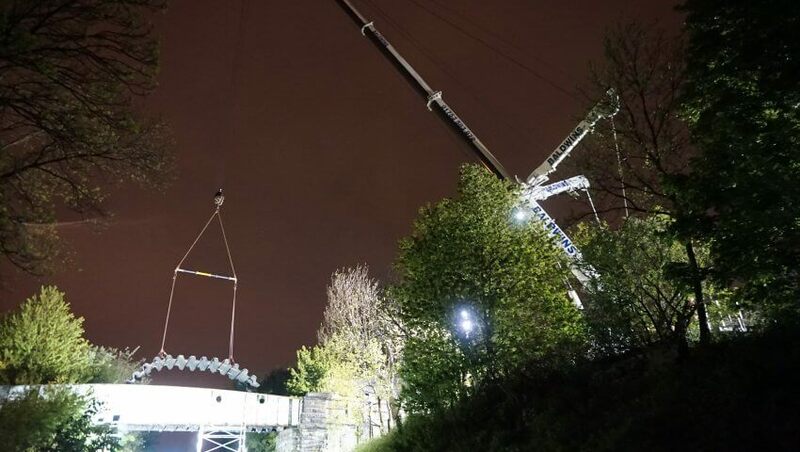 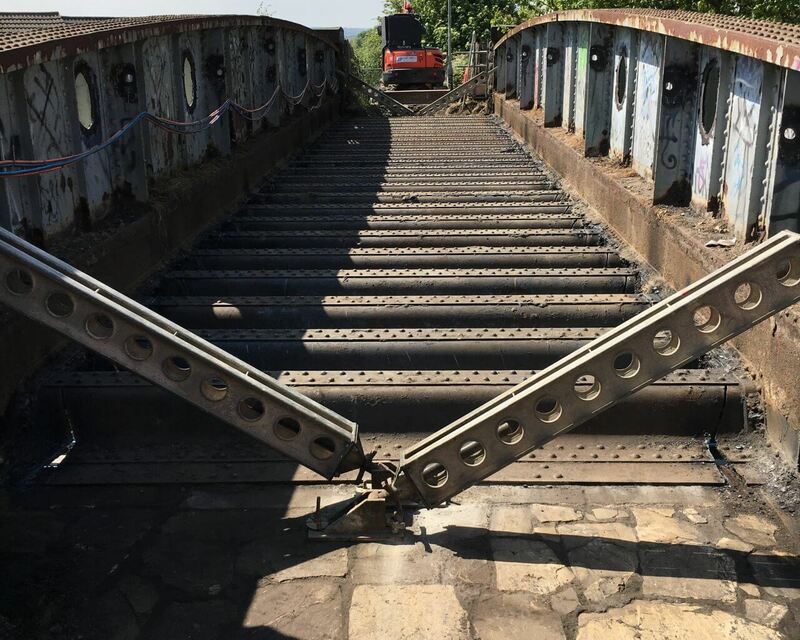 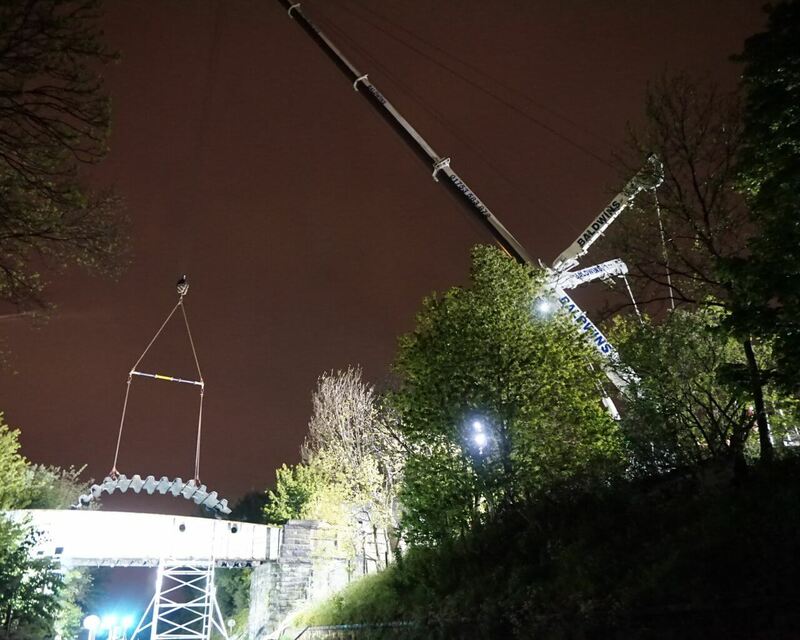 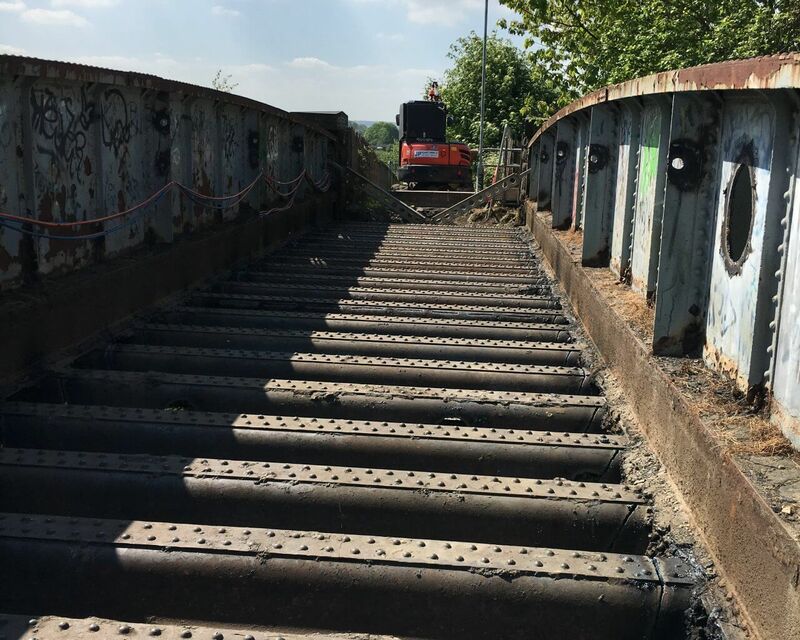 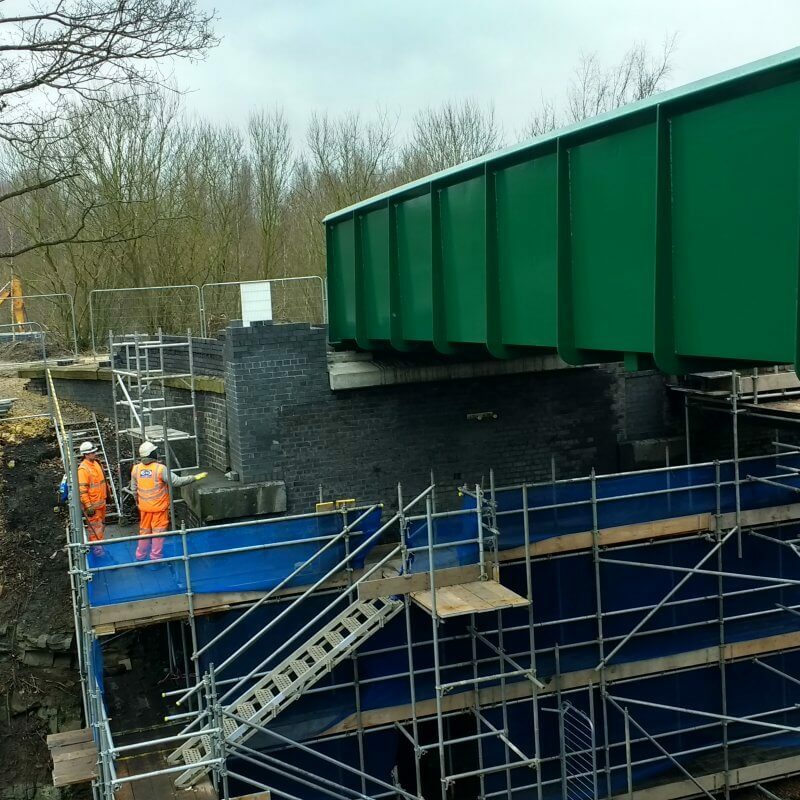 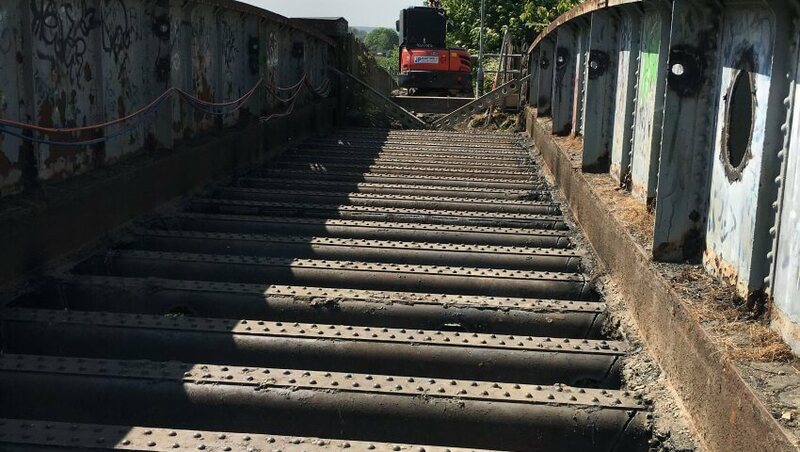 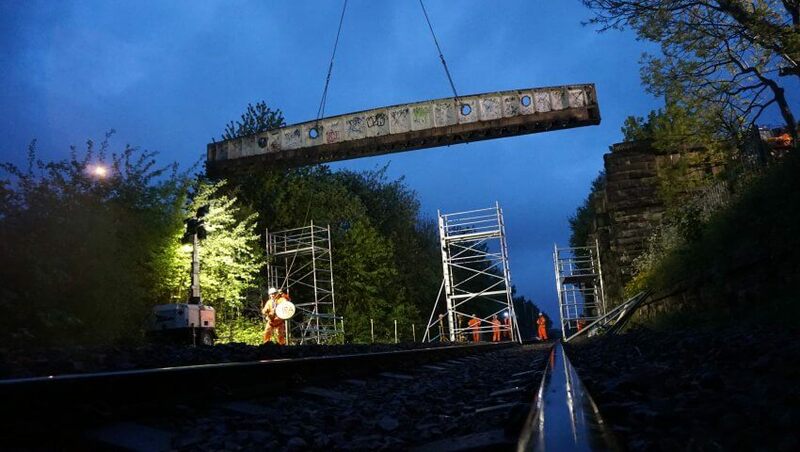 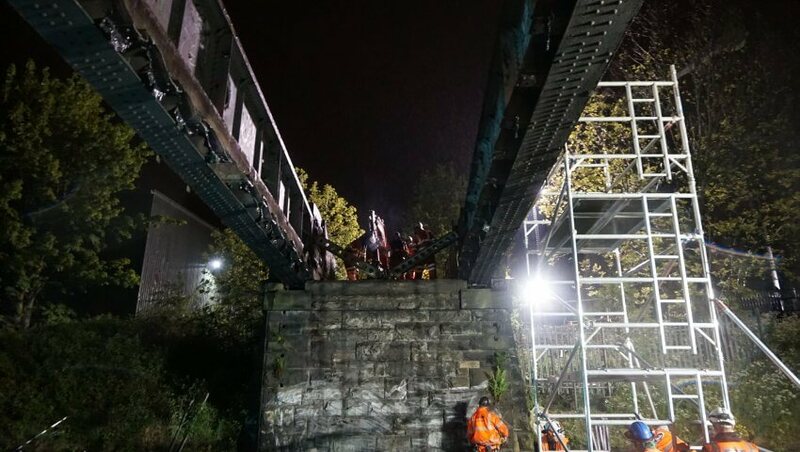 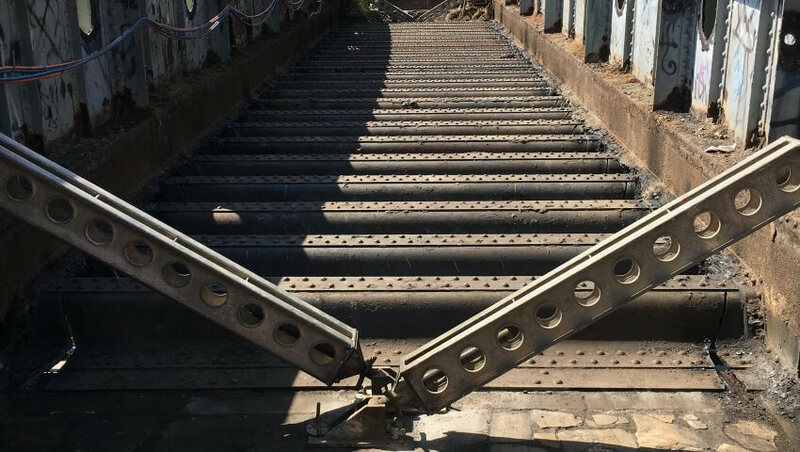 All demolition works were successfully completed using in-house resources, with specialist works being undertaken by Baldwin Cranes and Carver Engineering to complete the removal of the old structure and installation of the new bridge. 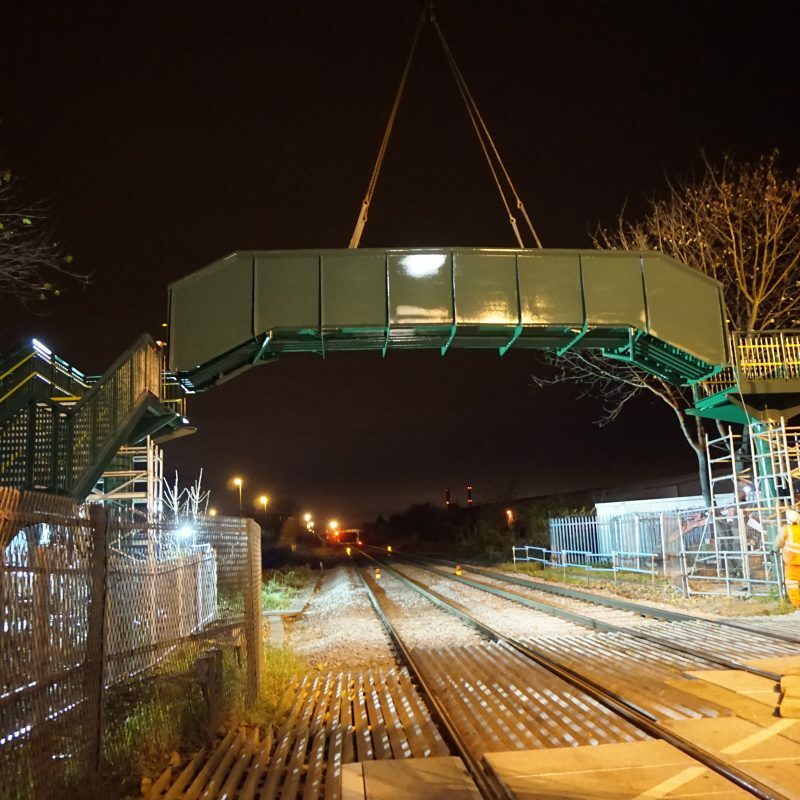 This was a challenging project located in the middle of a residential area, which was successfully delivered, safely, on programme and with minimal disruption to the local community.